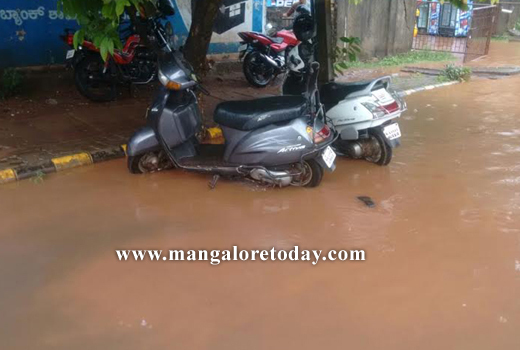 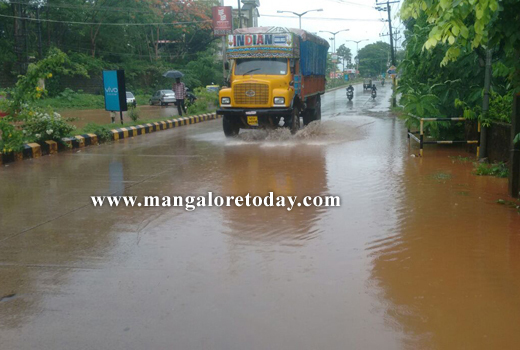 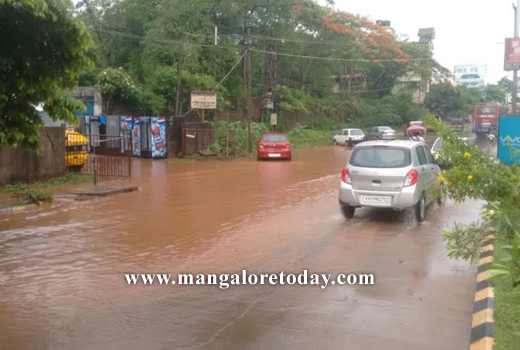 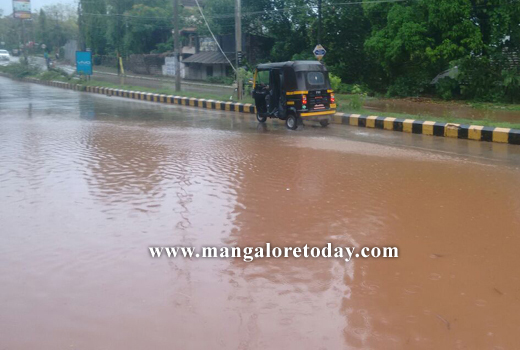 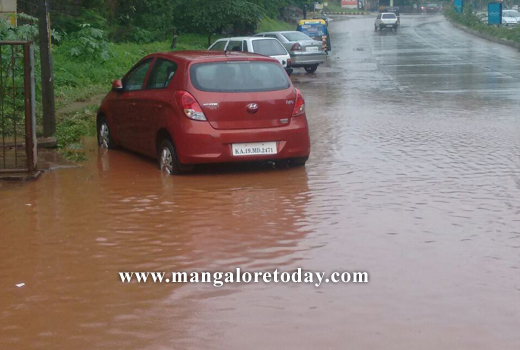 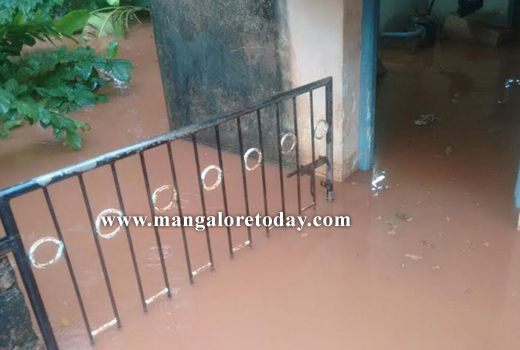 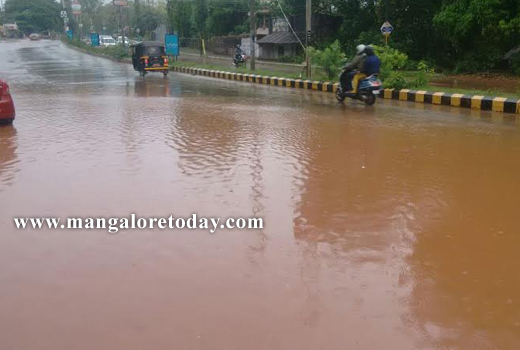 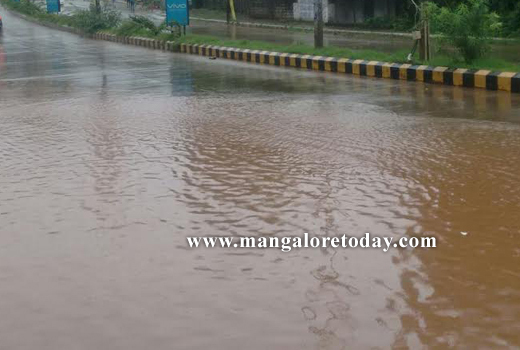 Mangaluru, June 8, 2016 : Heavy rains accompanied by thunder and lightning lashed the city on June 8, Wednesday morning resulting in flooding in several places. 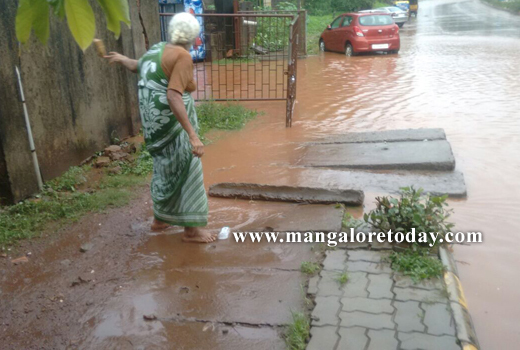 The rains in the morning also disrupted normal life to some extent. 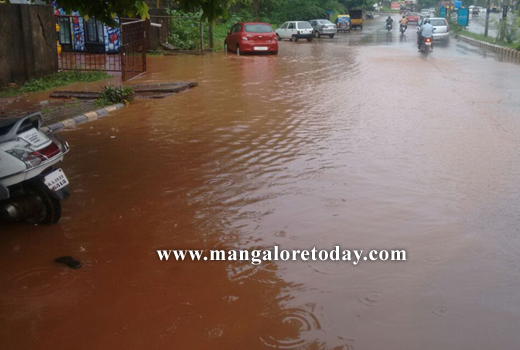 With a cloudy atmosphere still prevailing, one can expect more showers during the evening.